Honey, Can You Mow the Lawn? Now here’s something you don’t see every day. 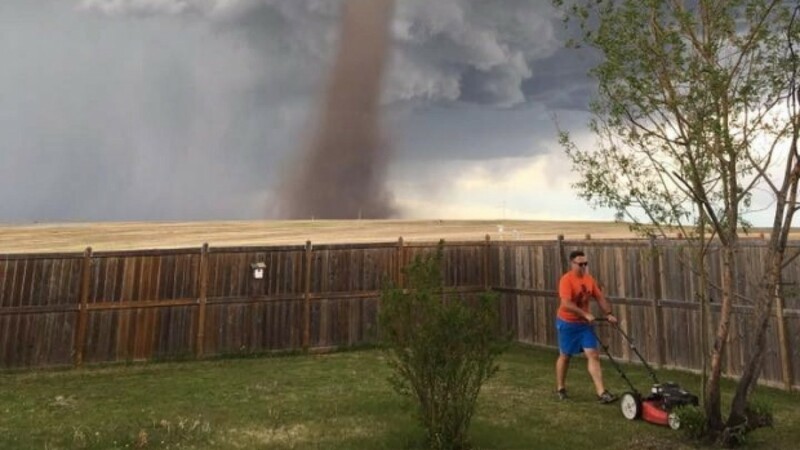 Not just an enormous tornado near the small town of Three Hills, in the province of Alberta, Canada, but a man insouciantly mowing his lawn seemingly in the face of catastrophe. He had a chore to do, and he was gonna get it done. 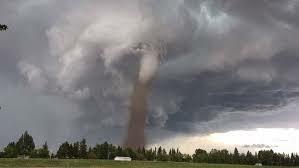 Cecilia Wessels snapped this photo of her husband Thesis, and later explained that the tornado was much further away than it seems in this image. Kudos to you, Thesis! May your garden always flourish.